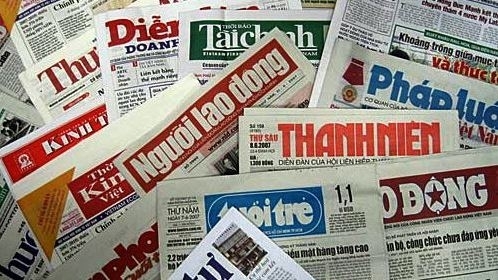 Internews Europe, "Freedom of Expression and Right to Information in ASEAN Countries,"
 Vietnam’s Constitution of 1992 with amendment through 2013 in article 25: The citizen shall enjoy the right to freedom of opinion and speech, freedom of the press, to access to information, to assemble, form associations and hold demonstrations. The practice of these rights shall be provided by the law. c) Making, storing and/or circulating documents and/or cultural products with contents against the Socialist Republic of Vietnam. Decree 72 clauses 20.4: A personal information webpage is not allowed to provide aggregated information.